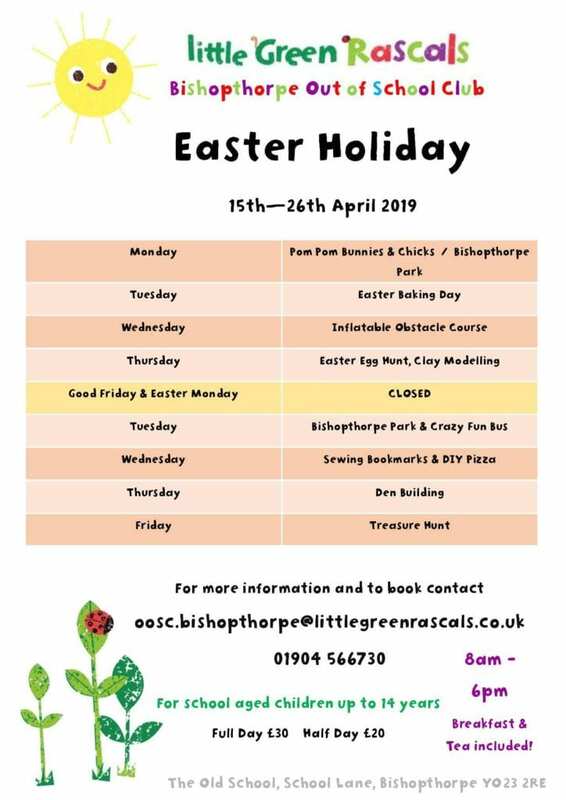 Little Green Rascals Bishopthorpe Out of School Club is based in the lovely village of Bishopthorpe, on the southern outskirts of York. As well as providing term time wrap around care for children from the village schools, we offer an exciting and fun filled holiday club throughout the school holidays for children across the city! Running to City of York Council term dates, we welcome school aged children up to 14 years, from 8am-6pm.